Date fritters are sweet indulgence, deep fried & look too amazing. 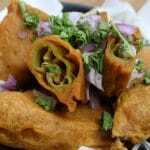 It is a nutritional fritter recipe that goes well during special occasions at home. 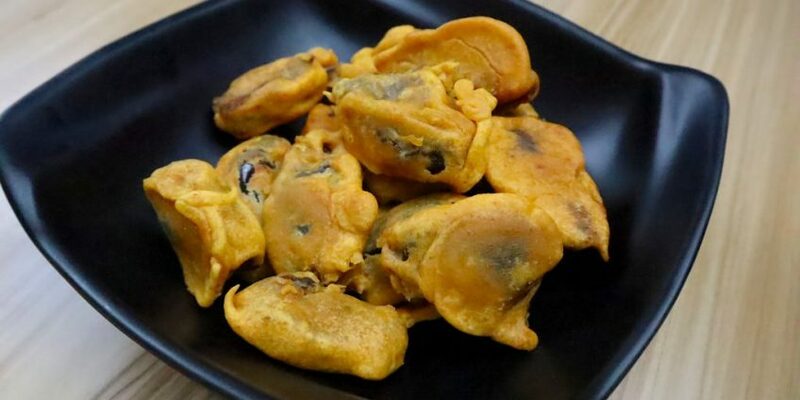 The taste is unique and fritters are really soft & crunchy outside. These fritters will be most like by elders in the family. They are sweet and healthy option. Dates are amazing for kids and it adds values in a child’s growth. This recipe will surely change the point of view of many who are thinking to turn the nutrition food into the amazing food. The fusion worked for my niece. She was living in the USA for more than 2 years. When she came back, she was very thin. Therefore, there was a time when she got a little sick. I suggested her mother make something out of dates. I came up with dates fritters so that she could enjoy it. By the time, she increased her weight. She gained 3 kgs in one month. The dates really worked. 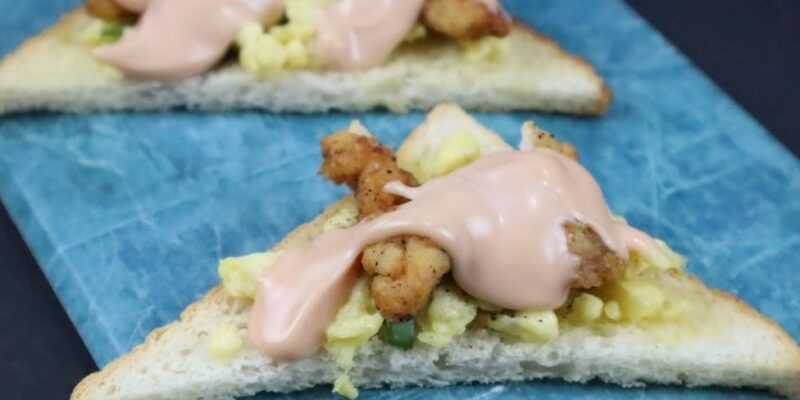 You can try this amazing recipe for your child & do let us know how much your kid liked it in comments below. Take a deep bowl to make the batter. Add besan flour, corn flour, salt, chaat masala & red chilly powder. Add water and mix it well. Make a thick batter. Once ready, keep it aside. Take dates in a bowl. Remove the seeds from it. Now dip into batter and coat the dates well. Heat the oil in the pan. Deep fry the dates for about 3 minutes. 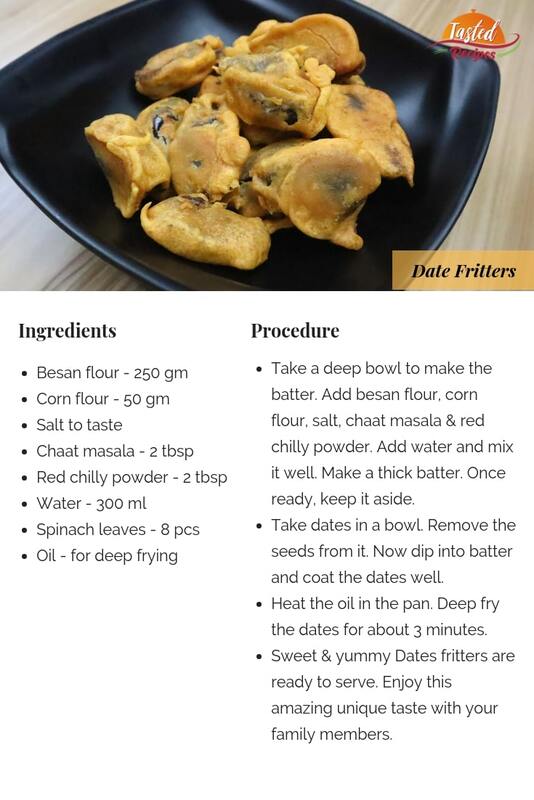 Sweet & yummy Dates fritters are ready to serve. 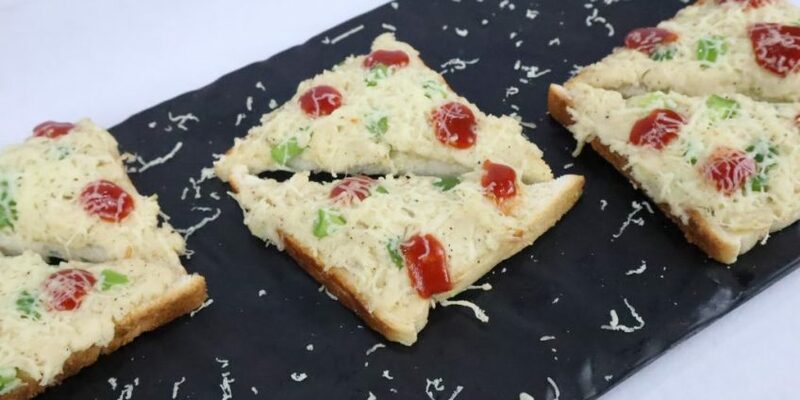 Enjoy this amazing unique taste with your family members.